Launchpad is a programme of employability skills, training and work experience. It includes our ‘skills for work’ sessions, in which people can get an easy-access work experience taster in one of our groups – catering, painting and decorating, and admin. The painting and decorating group take on projects at charities and community projects across Manchester, helping to transform neglected spaces. In 2017 38 different local employers contributed to the Launchpad programme. 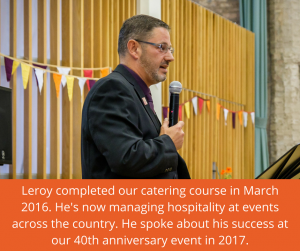 The Launchpad project includes training programmes in subjects such as catering and hospitality, and health and social care. Our catering training course offers the chance to gain a food safety qualification, vital for a career in the sector. And there are opportunities to take part in a range of enterprise activities, including our Market Makers course which involves planning and running a public market stall. The weekly Moving on Group is for people who are ready to move on from Back on Track. It includes presentations from guest speakers, job searches, CV writing and sessions on subjects like volunteering and budgeting skills. It also includes one to one support from IAG (information, advice and guidance) workers. I joined work experience and chose painting and decorating and I was also asked to go to the Moving on Group. The work experience is really good. I enjoy coming and doing the practical work and I really like the people that I get to work with. I have a CV and cover letter now. I haven’t been able to use computers for a long time and didn’t feel confident. Doing these things at Back on Track made me feel positive. Now I’m going to college! 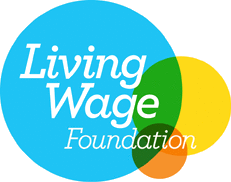 Could you help people with their interview skills? 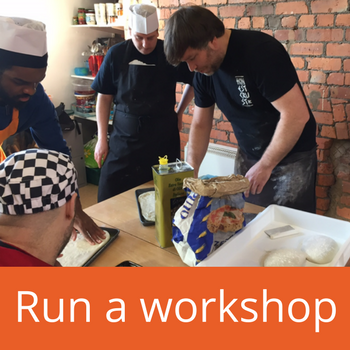 Could you run a food workshop in our kitchen? Get in touch!